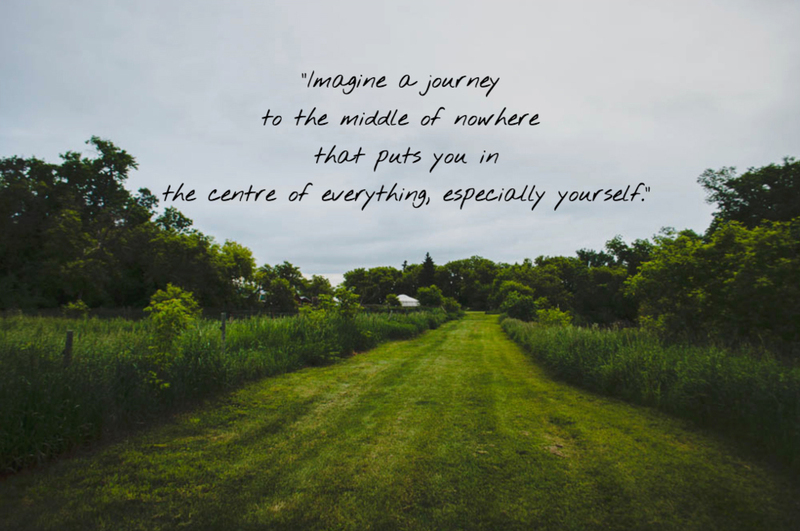 Imagine road tripping down open highway, through the lush green farmlands of Western Manitoba. The idyllic prairie town of Waldersee appears, consisting simply of a handful of farmhouses, pastures and a cherished country church. A sign directs you to slow and turn down an unassuming gravel road. As you bump along, anticipation builds. First, a farmhouse nestled within an orchard of fruit trees. Then, you immediately hear the current of the Big Grass river which winds it’s way peacefully through the property. 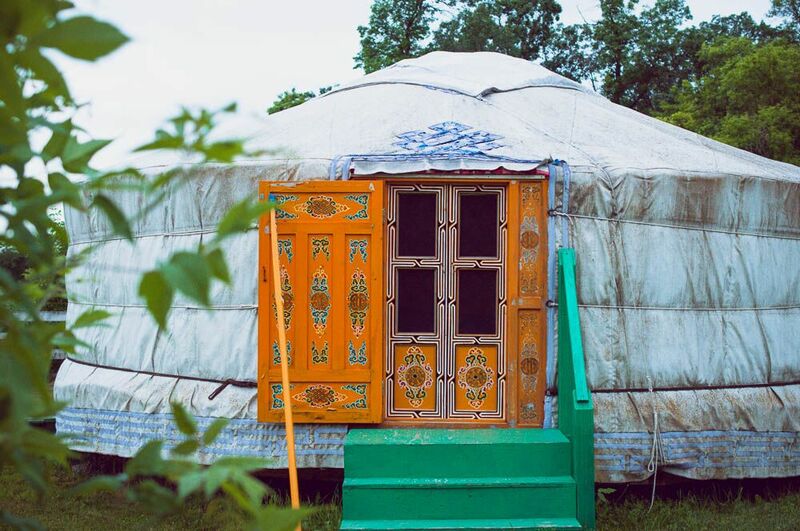 Before you, two authentic Mongolian yurts sit sweetly juxtaposed with century old farm buildings and the verdant rural beauty of forrest and farmland beyond. There’s no doubt, you have arrived at Journey Home Artist Retreat. Owners Robert and Sherry await us outside and welcome us warmly. My friend Chandra and I have traveled from Morden and Winnipeg to be here this weekend. Both of us are typically busy women, working and raising families, leaving little time for relaxation and a chance to exercise our creative muscles. 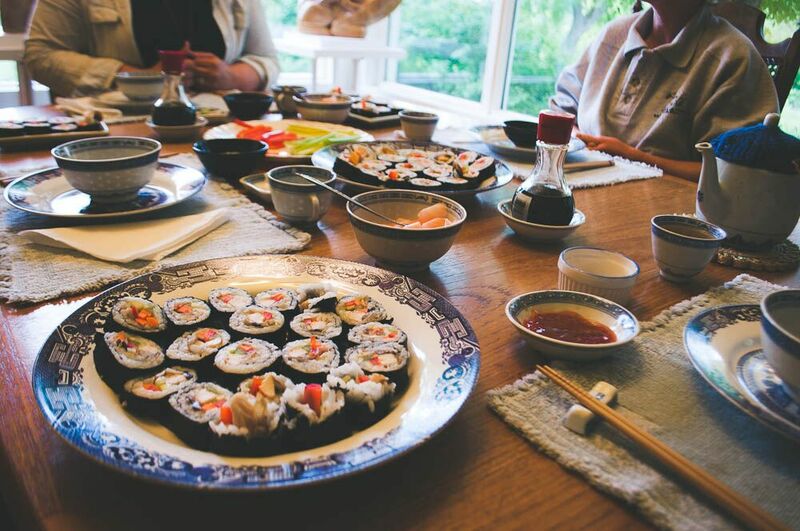 Prior to our arrival, we’d been in contact with Sherry who helped us form an itinerary for our weekend, including our food preferences and what we’d like to focus on during our stay. 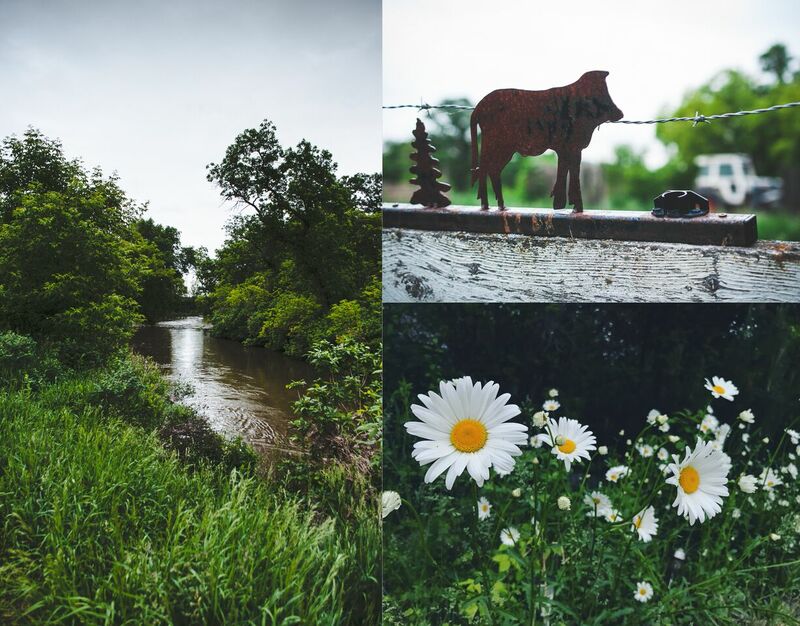 This weekend would be all about creating through carving soapstone and enjoying early summertime in this beautiful part of Manitoba. Sherry gave us a quick tour of our yurt and the main house, then left us to settle in while she served up herbal tea, delicious homemade fruit crumble and vanilla ice cream. Afterward we retired to our yurt and tucked into cozy beds, quickly lulled to sleep by the sound of the river nearby which babbled and flowed gently throughout the night. In the light of the morning I was properly impressed by the handmade details of our yurt. There are two yurts at Journey Home. 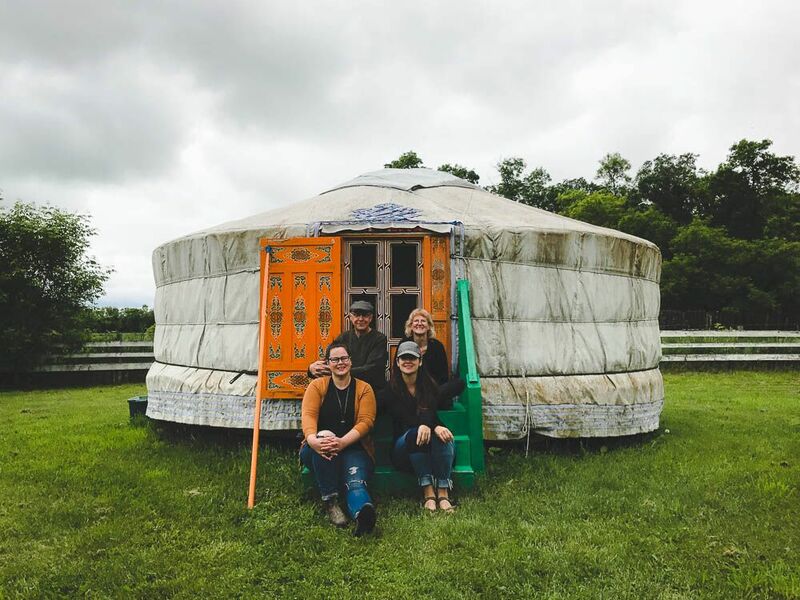 The blue yurt is a cozy hideaway for one or two people. 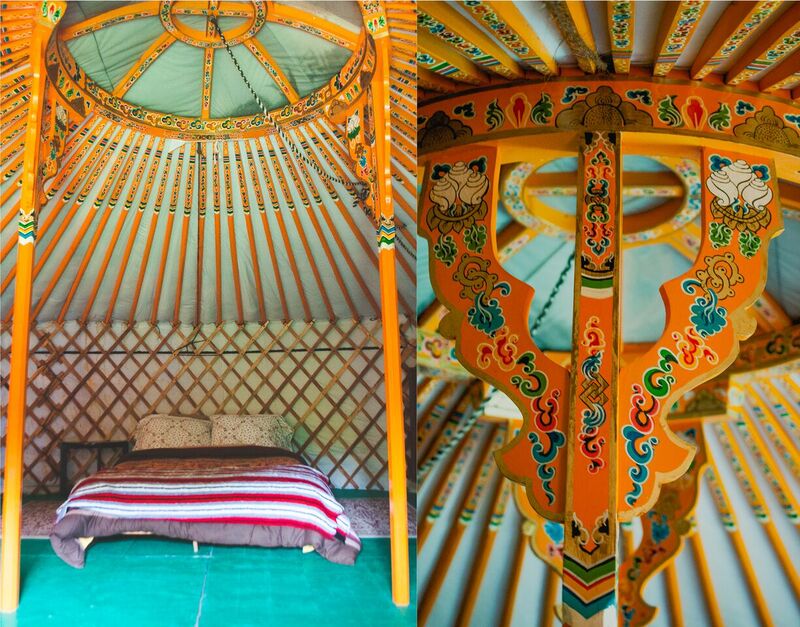 The orange yurt comfortably sleeps 4, with room for a dining table and a dresser to store your necessities. Both yurts have electric heaters to keep them cozy on cool rainy evenings. 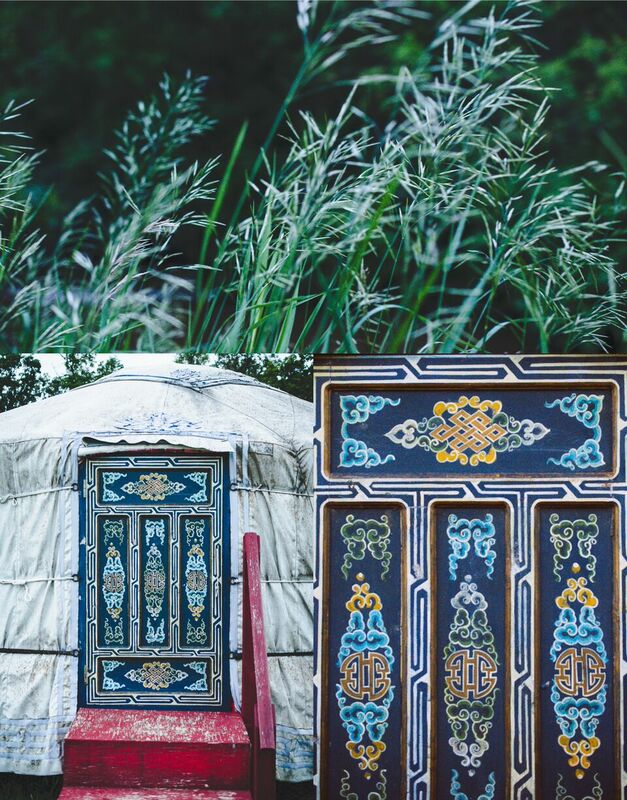 Sherry tells us the yurts were crafted and painted in Mongolia, then shipped to Journey Home and constructed in the traditional way. Even the ropes connecting each cross of lattice was made of horse hair. Chandra remarked at how each rafter’s painted detail lined up perfectly with the rest in the round. We were enchanted! As the summer rain did it’s periodic dance from mist to deluge, we happily worked up an appetite for Sherry’s Moroccan carrot soup, fresh bread and cucumber poppyseed salad. Sherry told us about her garden which includes fruit trees, vegetables & herbs which she harvests for fresh meals, preserves and selling at the farmers market. Culinary retreats are her specialty. They include developing a meal plan around a countries traditional fare, harvesting produce from the garden, and learning how to prepare it. You may also choose to visit a nearby family farm to learn about farming practices and to pick up grass fed beef for your dinner. Renewed from a wholesome lunch, Chandra and I jumped back into our carving work. 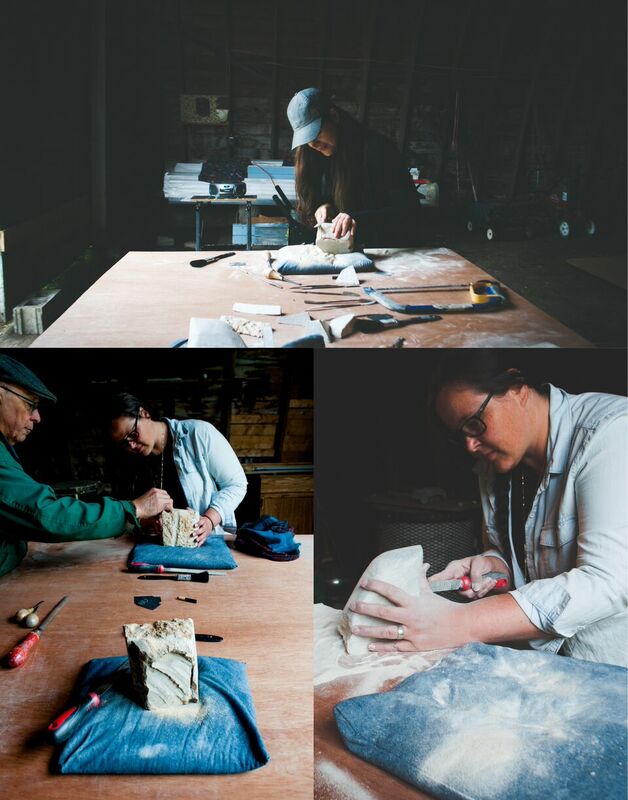 Seeing the transformation from raw stone to something that nearly felt alive was so inspiring. The wet sanding stage erased the scratches and gouges left from carving and revealed a smooth, stain surface which brought out unexpected colour in the soapstone. We were surprised to find that although our pieces of stone were cut from the same chunk, they ended up being completely different hues! Dinner brought a bounty of homemade sushi with fresh fruit and ice cream for desert. Afterward, Sherry offered to join me for a walk along the country road to visit the local church. New Christ Lutheran church was built in the early 1940’s, replacing the original village church which was built before the turn of the century. 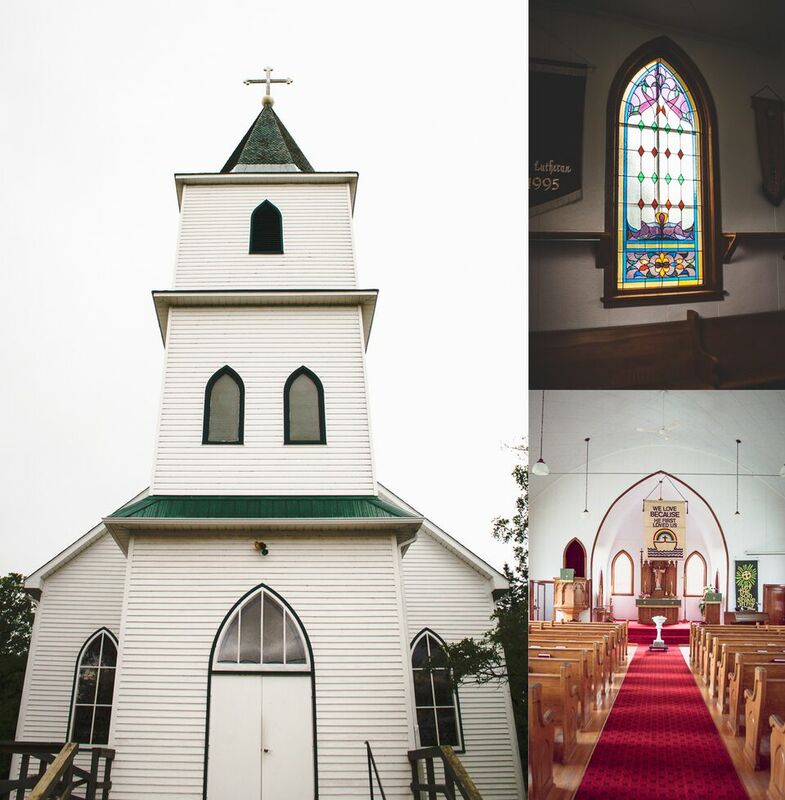 The beautiful condition of the original stained glass windows, fixtures and warm woodwork speak to how cherished this church is. 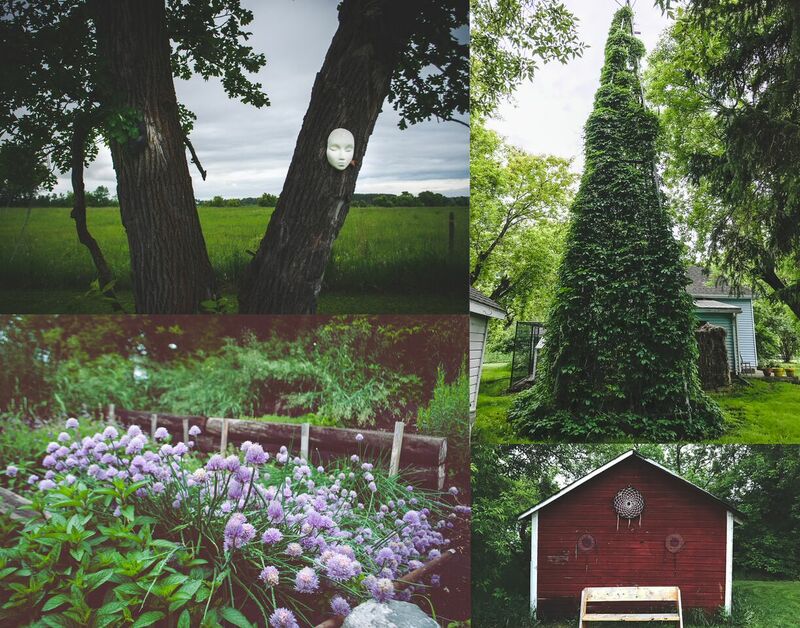 It stands as a lovely example of how important community remains to rural Manitobans. Be sure to visit it if you’re passing through this summer. That evening, Robert shared his collection of drums, several of which came with interesting stories. After a bit of trepidation and a few warnings of “We’re not very good . . . ” we got a good drum circle going. I played a bit of guitar while Robert showed some impressive harmonica skills. 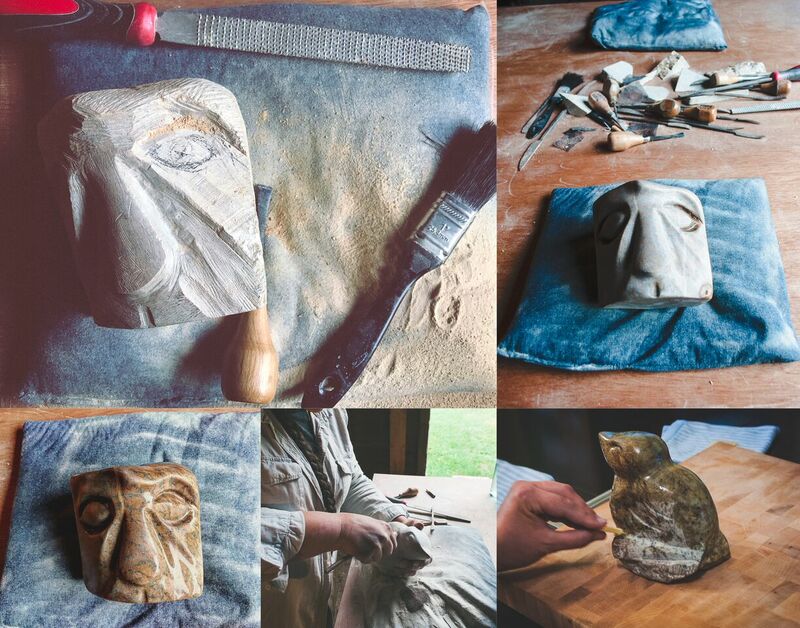 After another restful nights sleep, we spent our final morning hours sealing our soapstone sculptures with beeswax and taking one last walk around the property. I’ll be totally honest, coming into this unique experience at Journey Home Artist Retreat, I had some reservations. I wondered if my friend and I would be comfortable spending a weekend with strangers and how guarded that might make us feel. Come Sunday afternoon, I left with the sense that we had made new friends and learned more about ourselves and each other in the process. What a gift! Robert and Sherry have so much to offer as hosts and teachers. Be sure to visit their website for a full description of their retreats including a variety of creative, culinary and healing / wellness packages. You can even add a bit of extra adventure and take a train ride from Winnipeg’s VIA Rails Station, there and back. Whatever you choose, you’re sure to love spending a weekend of renewal in beautiful western Manitoba. We certainly did! 2018 Tee Up Westman winners announced!